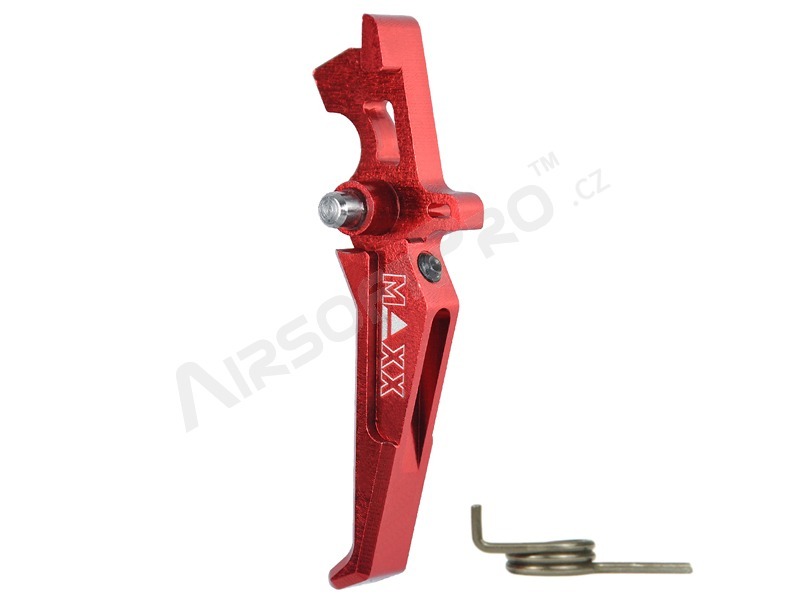 CNC Aluminum Advanced Trigger is specially designed for fast response, smooth and consistent trigger pull on Ver. 2 Gear Box of M4/M16 series Airsoft AEG Rifles. Machined from a solid block of Aircraft Grade Aluminum with tight tolerances to provide better accuracy, consistency, and durability. The Advanced Trigger has multiple adjustment points to control travel, over travel, and to prevent damage to electronic switches on controller boards. The Advanced Trigger is completely compatible with the popular TITAN™ Electronic Module from Gate for Ver. 2 Gear Box. 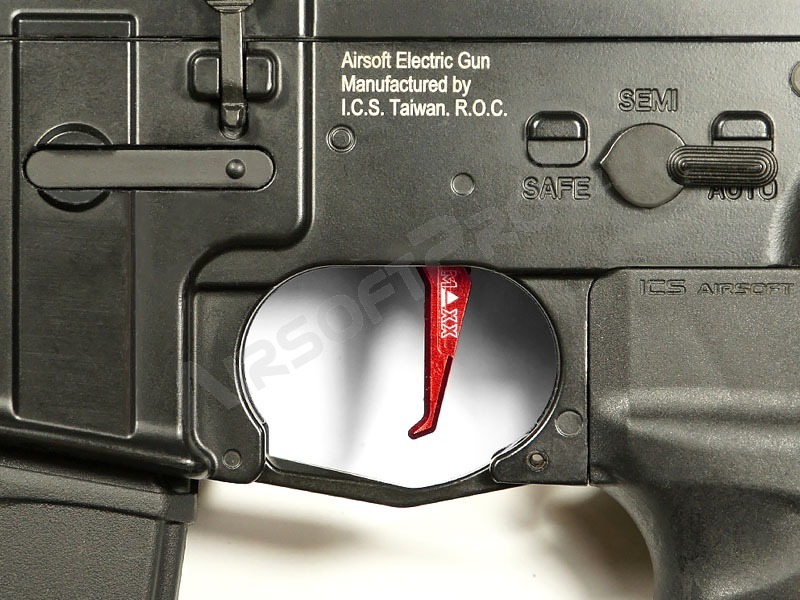 The Advanced Trigger is designed with relieve cuts to function in most Tokyo Marui™ spec. AEG and HPA systems. 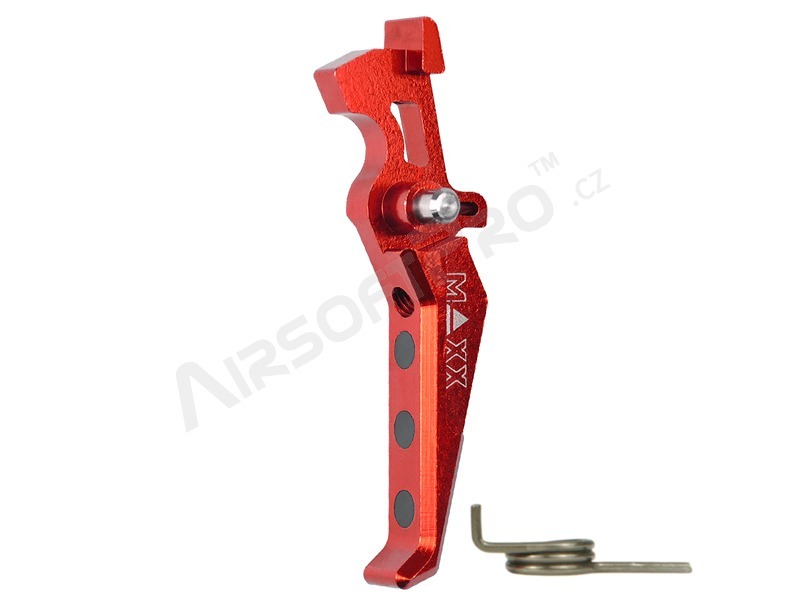 The main pivot pin of the trigger is made from Titanium for maximum strength and durability. 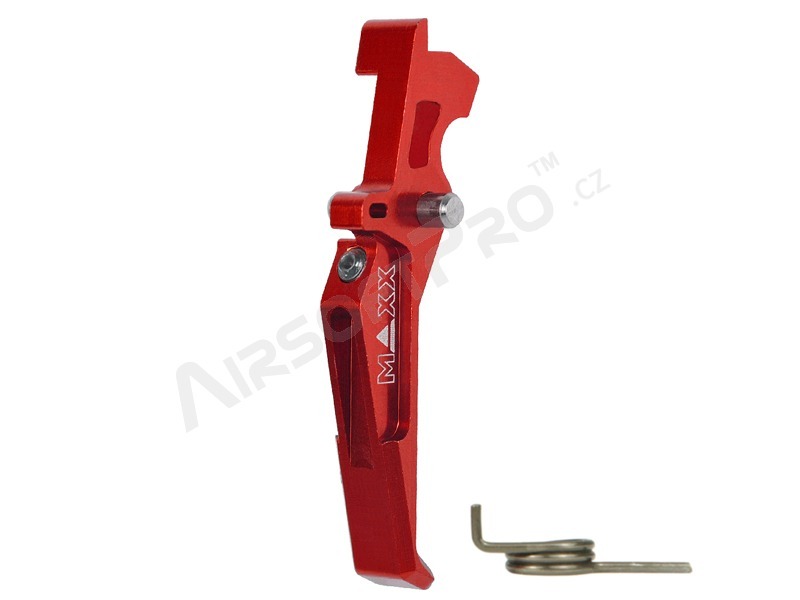 The body of the trigger is CNC machined out of a solid block of Aircraft Grade Aluminum 6061. 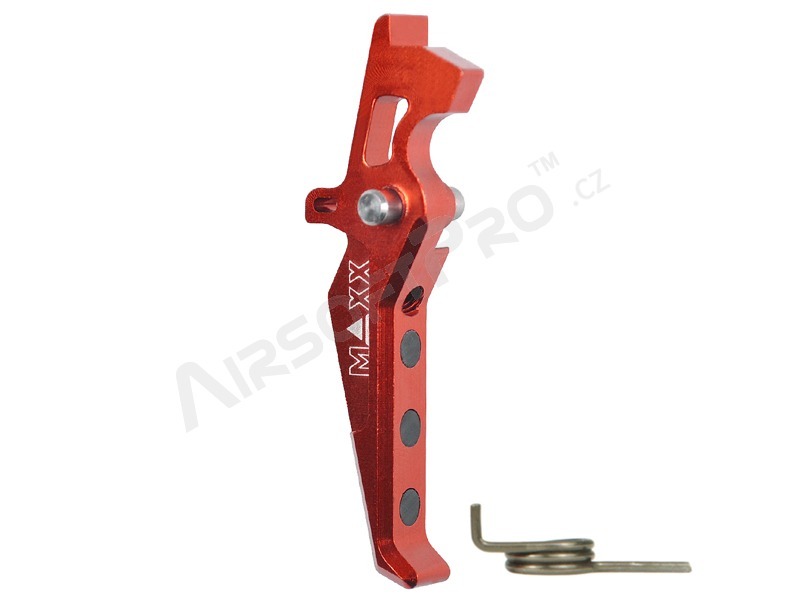 The Aluminum and Titanium construction makes this trigger very light and durable. Moreover, the trigger is carefully chamfered the edges and securely fitted with three rubber pads to ensure comfort, enhance traction and secure grip. With the unique shapes, stylish design and colors, we will have an option to fit your style needs. ***For users convince the trigger spring is included.